For the book by Clay Conrad, see Jury Nullification (book). Jury nullification is a concept where members of a trial jury find a defendant not guilty if they do not support a government's law, do not believe it is constitutional or humane, or do not support a possible punishment for breaking the law. This may happen in both civil and criminal trials. In a criminal trial, a jury nullifies by acquitting a defendant, even though the members of the jury may believe that the defendant did commit the alleged crime. This may occur when members of the jury disagree with the law the defendant has been charged with breaking, or believe that the law should not be applied in that particular case. A jury can similarly convict a defendant on the ground of disagreement with an existing law, even if no law is broken (although in jurisdictions with double jeopardy rules, a conviction can be overturned on appeal, but an acquittal cannot). In the past, it was feared that a single judge or panel of government officials might be unduly influenced to follow established legal practice, even when that practice had drifted from its origins. In most modern Western legal systems, however, judges often instruct juries to act only as "finders of facts", whose role it is to determine the veracity of the evidence presented, the weight accorded to the evidence, to apply that evidence to the law as explained by the judge, and to reach a verdict; but not to question the law or decide what it says. Similarly, juries are routinely cautioned by courts and some attorneys not to allow sympathy for a party or other affected persons to compromise the fair and dispassionate evaluation of evidence. These instructions are criticized by advocates of jury nullification. Some commonly cited historical examples of jury nullification involve jurors refusing to convict persons accused of violating the Fugitive Slave Act by assisting runaway slaves or being fugitive slaves themselves, and refusal of American colonial juries to convict a defendant under English law. Juries have also refused to convict due to the perceived injustice of a law in general, or of the way the law is applied in particular cases. There have also been cases where the jury has refused to convict due to their own prejudices (for example, about the race of one of the parties in the case). Jury nullification is the source of much debate. Some maintain that it is an important safeguard of last resort against wrongful imprisonment and government tyranny. Others view it as a violation of the right to a jury trial, which undermines the law. Some view it as a violation of the oath sworn by jurors. In the United States, some view the requirement that jurors take an oath to be unlawful in itself, while still others view the oath's reference to "deliverance" to require nullification of unjust law: "will well and truly try and a true deliverance make between the United States and the defendant at the bar, and a true verdict render according to the evidence, so help [me] God". United States v. Green , 556 F.2d 71 (D.C. Cir. 1977). Some fear that nullification could be used to permit violence against socially unpopular factions. They point to the danger that a jury may choose to convict a defendant who has not broken the letter of the law. However, judges retain the rights both to decide sentences and to disregard juries' guilty verdicts, acting as a check against malicious juries. Jury nullification may also occur in civil suits, in which the verdict is generally a finding of liability or lack of liability (rather than a finding of guilty or not guilty). whether juries can or should be instructed or informed of their power to nullify. whether a judge may remove jurors "for cause" when they refuse to apply the law as instructed. whether a judge may punish a juror for exercising the power of jury nullification. whether all legal arguments, except perhaps on motions in limine to exclude evidence, should be made in the presence of the jury. In some cases in the United States, a stealth juror will attempt to get on a jury in order to nullify the law. Some lawyers use a shadow defense to get information entered into the record that would otherwise be inadmissible hoping that evidence will trigger a jury nullification. 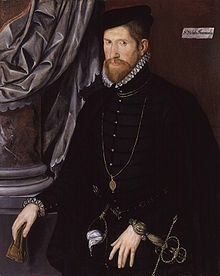 Even prior to Bushel's Case, Sir Nicholas Throckmorton, a non-Episcopalian English Dissenter or Nonconformist outside of the established Church of England, was acquitted by a jury, despite the hostility of the judges. The early history of juries supports the recognition of the de facto power of nullification. By the 12th century, common law courts in England began using juries for more than administrative duties. Juries were composed primarily of "laymen" from the local community. They provided a somewhat efficient means of dispute resolution with the benefit of supplying legitimacy. No free man shall be captured, and or imprisoned, or disseised of his freehold, and or of his liberties, or of his free customs, or be outlawed, or exiled, or in any way destroyed, nor will we proceed against him by force or proceed against him by arms, but by the lawful judgment of his peers, or by the law of the land. Largely, the earliest juries returned verdicts in accordance with the judge or the Crown. This was achieved either by "packing the jury" or by "writ of attaint". Juries were packed by hand-selecting or by bribing the jury so as to return the desired verdict. This was a common tactic in cases involving treason or sedition. In addition, the writ of attaint allowed a judge to retry the case in front of a second jury when the judge believed the first jury returned a "false verdict". If the second jury returned a different verdict, that verdict was imposed and the first jury was imprisoned or fined. His contention that the constitution of the Court was contrary to the fundamental laws of the country was unheeded, and his claim that the jury was legally entitled to judge not only as to matters of fact but also as to the application of the law itself, as the Judges represented only 'Norman intruders', whom the jury might here ignore in reaching a verdict, was described by an enraged judge as 'damnable, blasphemous heresy'. This view was not shared by the jury, which, after three days' hearing, acquitted Lilburne—who had defended himself as skillfully as any lawyer could have done—to the great horror of the Judges and the chagrin of the majority of the Council of State. The Judges were so astonished at the verdict of the jury that they had to repeat their question before they would believe their ears, but the public which crowded the judgment hall, on the announcement of the verdict, broke out into cheers so loud and long as, according to the unanimous testimony of contemporary reporters, had never before been heard in the Guildhall. The cheering and waving of caps continued for over half an hour, while the Judges sat, turning white and red in turns, and spread thence to the masses in London and the suburbs. At night bonfires were lighted, and even during the following days the event was the occasion of joyful demonstrations. In 1653, Lilburne was on trial again and asked the jury to acquit him if it found the death penalty "unconscionably severe" in proportion to the crime he had committed. The jury found Lilburne "Not guilty of any crime worthy of death". In 1670, a petit jury refused to convict William Penn of unlawful assembly in Bushel's Case. The judge attempted to find the jury in contempt of court; this was ruled inappropriate by the Court of Common Pleas. In 1681, a grand jury refused to indict the Earl of Shaftesbury. Then in 1688, a jury acquitted the Seven Bishops of the Church of England of seditious libel. Juries continued, even in non-criminal cases, to act in defiance of the Crown. In 1763 and 1765, juries awarded £4,000 and £300 to John Wilkes and John Entick respectively, in separate suits for trespass against the Crown's messengers. In both cases, messengers were sent by Lord Halifax to seize allegedly libelous papers. In Scotland, jury nullification had the profound effect of introducing the three-verdict system including the option of "not proven", which remains in Scotland to this day. It was in 1728 that one Carnegie of Finhaven accidentally killed the Earl of Strathmore. As the defendant had undoubtedly killed the Earl, the law (as it stood) required the jury merely to look at the facts and pass a verdict of "proven" or "not proven" depending on whether they believed the facts proved the defendant had killed the Earl. However, if the jury brought in a "proven" verdict, this would lead to Carnegie's hanging, though he had not intended any harm to the Earl. To avert this injustice, the jury decided to assert what it believed to be their "ancient right" to judge the whole case and not just the facts, rendering the verdict of "not guilty". Over time, however, juries have tended to favour the "not guilty" verdict over "not proven" and with this the interpretation has changed. Now the "not guilty" verdict has become the normal verdict when a jury is convinced of innocence and the "not proven" verdict is only used when the jury is not certain of innocence or guilt. Standard jury trial practice in the United States during the Founding Era and for several decades afterward was to argue all issues of law in the presence of the jury, so that the jury heard the same arguments the bench did in reaching his rulings on motions. This is evidenced by such decisions as the 1839 case Stettinius v. U.S., in which it was held that "The defense can argue law to the jury before the court gives instructions." Later, judges began to demand the parties submit motions in writing, often before the jury was empaneled, to be argued and decided without the jury being present. This transition began with motions in limine, to exclude evidence on which it was felt the jury should not hear the argument because they would be informed of the evidence to be excluded. Later that was expanded to include all legal argument, so that today, that earlier practice of arguing law before the jury has been largely forgotten, and judges even declare mistrials or overturn verdicts if legal argument is made to the jury. Although extremely rare, jury nullification does occur in Canada. However, as the prosecution has powers to appeal the resulting acquittal, it lacks the finality found in the United States. That being said, the Crown cannot appeal on grounds of an unreasonable conviction but can only appeal on errors of law. In R. v. Latimer, 2001 SCC 1, the Supreme Court discussed jury nullification, and indicated it is a duty of the presiding justice to try to prevent it from occurring. It is no doubt true that juries have a de facto power to disregard the law as stated to the jury by the judge. We cannot enter the jury room. The jury is never called upon to explain the reasons which lie behind a verdict. It may even be true that in some limited circumstances the private decision of a jury to refuse to apply the law will constitute, in the words of a Law Reform Commission of Canada working paper, "the citizen's ultimate protection against oppressive laws and the oppressive enforcement of the law" (Law Reform Commission of Canada, Working Paper 27, The Jury in Criminal Trials (1980)). But recognizing this reality is a far cry from suggesting that counsel may encourage a jury to ignore a law they do not support or to tell a jury that it has a right to do so. The Supreme Court more recently issued a decision, R. v. Krieger, 2006 SCC 47, which confirmed that juries in Canada have the power to refuse to apply the law when their consciences require that they do so. Within this decision, it is stated that "juries are not entitled as a matter of right to refuse to apply the law—but they do have the power to do so when their consciences permit of no other course". By the late 17th century, the court's power to punish juries was removed in Bushel's Case involving a juror on the case against William Penn. Penn and William Mead had been arrested in 1670 for illegally preaching a Quaker sermon and disturbing the peace, but four jurors, led by Edward Bushell, refused to find them guilty. Instead of dismissing the jury, the judge sent them back for further deliberations. Despite the judge demanding a guilty verdict, the jury this time unanimously found Penn guilty of preaching but acquitted him on the charge of disturbing the peace and acquitted Mead of all charges. The jury was then subsequently kept for three days without "meat, drink, fire and tobacco" to force them to bring in a guilty verdict; when they failed to do so the judge ended the trial. As punishment the judge ordered the jurors imprisoned until they paid a fine to the court. Four jurors refused to pay the fine, and after several months, Edward Bushell sought a writ of habeas corpus. Chief Justice Vaughan, sitting on the Court of Common Pleas, discharged the writ, released them, called the power to punish a jury "absurd", and forbade judges from punishing jurors for returning a verdict the judge disagreed with. This series of events is considered a significant milestone in the history of jury nullification. The particular case is celebrated in a plaque displayed in the Central Criminal Court (the Old Bailey) in London. So the jury who usurp the judicature of law, though they happen to be right, are themselves wrong, because they are right by chance only, and have not taken the constitutional way of deciding the question. It is the duty of the Judge, in all cases of general justice, to tell the jury how to do right, though they have it in their power to do wrong, which is a matter entirely between God and their own consciences. To be free is to live under a government by law ... Miserable is the condition of individuals, dangerous is the condition of the State, if there is no certain law, or, which is the same thing, no certain administration of law, to protect individuals, or to guard the State. In opposition to this, what is contended for? – That the law shall be, in every particular cause, what any twelve men, who shall happen to be the jury, shall be inclined to think; liable to no review, and subject to no control, under all the prejudices of the popular cry of the day, and under all the bias of interest in this town, where thousands, more or less, are concerned in the publication of newspapers, paragraphs, and pamphlets. Under such an administration of law, no man could tell, no counsel could advise, whether a paper was or was not punishable. A 2016 study exploring the history of juror punishment in England and Wales after Bushel's Case found no clear examples of jurors being punished solely for returning the "wrong" verdict. The closest a jury came to this was in 1917, when a jury acquitted two teenage boys of arson. The boys had confessed at their pre-trial hearing, but had entered pleas of not guilty at their trial. Home Office civil servants suspected the difference between the pleas could be explained by the difference between the boys' admittance that they had caused the fire, and their denial that they had done so maliciously. The trial judge either did not consider this possibility or was not satisfied with it. On receiving the jury's verdict, he told them "you have been absolutely regardless of your oath. These men have pleaded guilty, and the evidence is of the clearest possible nature. You are none [sic] of you fit to serve on a Jury, but you will remain here until the end of the Sessions." The foreman, George Lathan, considered this a form of punishment for the jury, as the jurors were not going to be permitted to serve on any more juries, but were nonetheless required to keep attending court or face contempt proceedings. Lathan considered this a tacit form of imprisonment. Officials in the Lord Chancellor's Office noted that while the judge's conduct "was ill-judged and arbitrary, he did not, so far as I can see, do any act which would justify the Lord Chancellor in removing him from the Bench". Home Office officials wrote to the judge, advising him that his actions "would be impossible for the Home Secretary to defend as constitutional or right", and after several days the jurors were relieved of their duties. Home Office minutes suggest they did not think this kind of informal punishment of jurors who had returned the "wrong" verdict was unheard of. In 1982, during the Falklands War, the British Royal Navy sank an Argentine cruiser, the ARA General Belgrano. Three years later a civil servant (government employee) named Clive Ponting leaked two government documents concerning the sinking of the cruiser to a Member of Parliament (Tam Dalyell) and was subsequently charged with breaching section 2 of the Official Secrets Act 1911. The prosecution in the case demanded that the jury convict Ponting as he had clearly contravened the Act by leaking official information about the sinking of the Belgrano during the Falklands War. His main defence, that it was in the public interest that this information be made available, was rejected on the grounds that "the public interest is what the government of the day says it is", but the jury nevertheless acquitted him, much to the consternation of the Government. He had argued that he had acted out of "his duty to the interests of the state"; the judge had argued that civil servants owed their duty to the government. In the United States, jury nullification first appeared just before the American Revolutionary War, when colonial juries frequently exercised their nullification power, principally in maritime cases and cases implicating free speech. Jury nullification became so common that many British prosecutors gave up trying maritime cases because conviction seemed hopeless. In the pre-Civil War era, juries sometimes refused to convict for violations of the Fugitive Slave Act. Later, during Prohibition, juries often nullified alcohol control laws, possibly as often as 60% of the time. This resistance may have contributed to the adoption of the Twenty-first amendment repealing Prohibition, the Eighteenth amendment. In a well-known example of jury nullification, at the end of Wild Bill Hickok's trial for the manslaughter of Davis Tutt in 1865, Judge Sempronius Boyd gave the jury two instructions. He first instructed the jury that a conviction was its only option under the law; he then instructed them that they could apply the unwritten law of the "fair fight" and acquit. Hickok was acquitted, a verdict that was not popular with the public. Jury nullification was practiced in the 1850s to protest the federal Fugitive Slave Act, which was part of the Compromise of 1850. The Act had been passed to mollify the slave owners from the South, who were otherwise threatening to secede from the Union. Across the North, local juries acquitted men accused of violating the law. Secretary of State Daniel Webster was a key supporter of the law as expressed in his famous "Seventh of March" speech. He wanted high-profile convictions. The jury nullifications ruined his presidential aspirations and his last-ditch efforts to find a compromise between North and South. Webster led the prosecution when defendants were accused of rescuing Shadrach Minkins in 1851 from Boston officials who intended to return Minkins to his owner; the juries convicted none of the men. Webster tried to enforce a law that was extremely unpopular in the North, and his Whig Party passed over him again when they chose a presidential nominee in 1852. White defendants accused of crimes against blacks and other minorities have often been acquitted by all-white juries, especially in the South, even in the face of irrefutable evidence. In the 21st century, many discussions of jury nullification center on drug laws that some consider unjust either in principle or because they are seen to discriminate against certain groups. A jury nullification advocacy group estimates that 3–4% of all jury trials involve nullification, and a recent rise in hung juries is seen by some as being indirect evidence that juries have begun to consider the validity or fairness of the laws themselves. In the 1895 case of Sparf v. United States written by Justice John Marshall Harlan, the United States Supreme Court held 5 to 4 that a trial judge has no responsibility to inform the jury of the right to nullify laws. This decision, often cited, has led to a common practice by United States judges to penalize anyone who attempts to present a nullification argument to jurors and to declare a mistrial if such argument has been presented to them. In some states, jurors are likely to be struck from the panel during voir dire if they will not agree to accept as correct the rulings and instructions of the law as provided by the judge. In recent rulings, the courts have continued to prohibit informing juries about jury nullification. In a 1969, Fourth Circuit decision, U.S. v. Moylan, 417 F.2d 1002 (4th Cir.1969), the Court affirmed the concept of jury nullification, but upheld the power of a court to refuse to permit an instruction to the jury to this effect. In 1972, in United States v. Dougherty, 473 F.2d 1113, the United States Court of Appeals for the District of Columbia Circuit issued a ruling similar to Moylan that affirmed the de facto power of a jury to nullify the law but upheld the denial of the defense's chance to instruct the jury about the power to nullify. In 1988, the Sixth Circuit upheld a jury instruction: "There is no such thing as valid jury nullification." In United States v. Thomas (1997), the Second Circuit ruled that jurors can be removed if there is evidence that they intend to nullify the law. The Supreme Court has not recently confronted the issue of jury nullification. In 2017, the Ninth Circuit upheld the first three sentences of the jury's instruction and overruled the second half. The jury instructions were "You cannot substitute your sense of justice, whatever that means, for your duty to follow the law, whether you agree with it or not. It is not for you to determine whether the law is just or whether the law is unjust. That cannot be your task. There is no such thing as valid jury nullification. You would violate your oath and the law if you willfully brought a verdict contrary to the law given to you in this case." However, the Ninth Circuit deemed this instruction a harmless error and affirmed the conviction. In 2002, South Dakota voters rejected by a 78% margin a state constitutional amendment to permit criminal defendants to argue for jury nullification. On June 18, 2012, New Hampshire passed a law explicitly allowing defense attorneys to inform juries about jury nullification. On October 24, 2014, the New Hampshire Supreme Court effectively nullified the law, holding that the wording of the statute does not allow defense attorneys to tell juries they can "nullify" a law. Indiana Constitution: Article 1 Section 19. In all criminal cases whatever, the jury shall have the right to determine the law and the facts. Note that determining the law is another phrase for nullification. However the section does not require informing the jury of this right. ^ Kennedy, Randall. "Racial Conduct by Jurors and Judges: The Problem of the Tainted Conviction", pp. 277-282, and "Black Power in the Jury Box? ", pp. 295-310, Race, Crime and the Law (1997). ^ Eduard Bernstein, Sozialismus und Demokratie in der grossen englischen Revolution (1895); trans. H. J. Stenning (1963, NYC) as Cromwell and Communism: Socialism and Democracy in the Great English Revolution, Library of Congress 63-18392. ^ Birch, Thomas, ed. (1742). "Slate Papers, 1653: August (5 of 5)". A Collection of the State Papers of John Thurloe, Volume 1, 1638-1653. London: Fletcher Gyles. pp. 435–445. Retrieved December 1, 2016 – via British History Online. ^ Stettinius v. United States, Federal Case No. 13,387 (C.Ct. D.C. 1839), 22 Federal Cases 1322, 1333 quoting United States v. Fenwick, Federal Case No. 15,086 (1836). ^ Judgments of the Supreme Court of Canada. R. v. Latimer 2001-01-18 Archived July 20, 2011, at the Wayback Machine. Retrieved April 06, 2014. ^ Judgments of the Supreme Court of Canada. R. v. Morgentaler 1988-01-28. Retrieved April 06, 2014. ^ a b Judgments of the Supreme Court of Canada. R. v. Krieger 2006-10-26 Archived June 9, 2012, at the Wayback Machine. Retrieved April 06, 2014. ^ Bushell's Case trial report Archived June 1, 2016, at the Wayback Machine. ^ Simon Stern, "Between Local Knowledge and National Politics: Debating Rationales for Jury Nullification after Bushell's Case" Archived June 24, 2016, at the Wayback Machine, Yale Law Journal 111 (2002): 1815-48. ^ Crosby, Kevin (2016). "Before the Criminal Justice and Courts Act 2015: juror punishment in nineteenth- and twentieth-century England". Legal Studies. 36 (2): 179. doi:10.1111/lest.12098. ^ Martin Rosenbaum "Clive Ponting case: Where is the investigators' report?" Archived May 4, 2016, at the Wayback Machine BBC News. 18 May 2011. Retrieved on 13 June 2013. ^ McKnight, Aaron. "Jury Nullification as a Tool to Balance the Demands of Law and Justice". Retrieved December 10, 2014. ^ UMKC Archived January 23, 2011, at the Wayback Machine. ^ Clay, Conrad J. (February 5, 2003). "A Guide to Surviving as a Juror". Counterpunch. Retrieved August 16, 2016. ^ O'Connor, Richard (1959). Wild Bill Hickok p. 85. ^ Conrad, Clay S. (1998). Jury Nullification, The Evolution of a Doctrine, Carolina Academic Press, pp. 167–185. ISBN 0890897026. ^ Clay, Conrad J. "Doing Your Best as a Trial Juror: Surviving Voir Dire" (PDF). Fully Informed Jury Association. Retrieved August 16, 2016. ^ Sparf v. United States, 156 U.S. 51 (1895). ^ "... the court can also attempt to prevent such an occurrence of juror nullification by (1) informing prospective jurors at the outset that jurors have no authority to disregard the law and (2) obtaining their assurance that they will not do so if chosen to serve on the jury." People v. Estrada, 141 Cal.App.4th 408 (July 14, 2006. No. C047785). ^ "Juries Can Acquit the Guilty, 9th Circuit Says, but 'There Is No Right to Nullification'". Reason.com. June 20, 2017. Retrieved June 25, 2017. ^ PAULA L. HANNAFORD-AGOR AND VALERIE P. HANS (August 26, 2003). "NULLIFICATION AT WORK? A GLIMPSE FROM THE NATIONAL CENTER FOR STATE COURTS STUDY OF HUNG JURIES". Retrieved January 9, 2018. ^ "New Hampshire Supreme Court Nullifies Jury Nullification Statute". www.fija.org. Fully Informed Jury Association. Retrieved October 30, 2017.